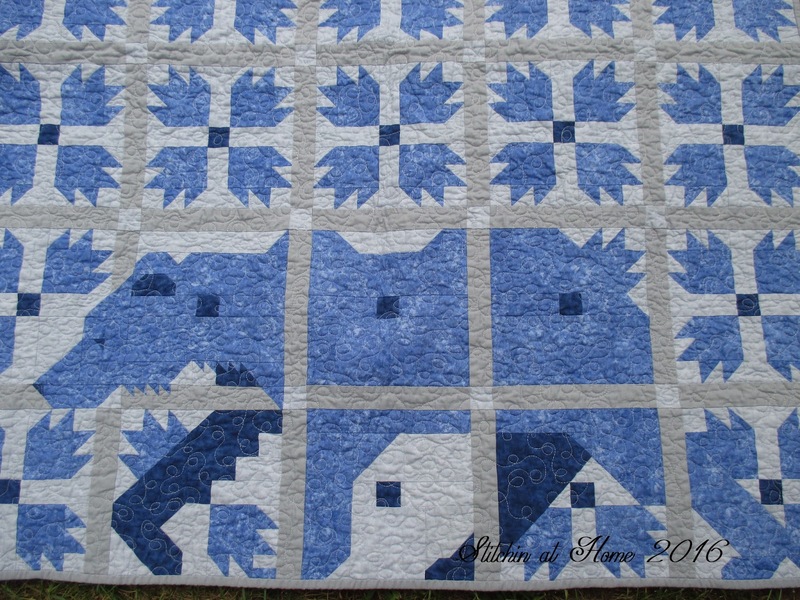 I finally got my Mod Bear Paw Quilted I tested the pattern for Lorna of Sew Fresh Quilts. You can read more about the it here. Lorna is hosting a QAL of the pattern just pop over to her blog to start in on the fun. It sat by my sewing machine for at least a week basted and waiting for me to decide how to quilt it. Lorna did wavy line quilting and I at first thought I'd do the same, I didn't want to over quilt it as it's a baby quilt. But when I actually started quilting it I just went right into loop-de-loops problem solved. 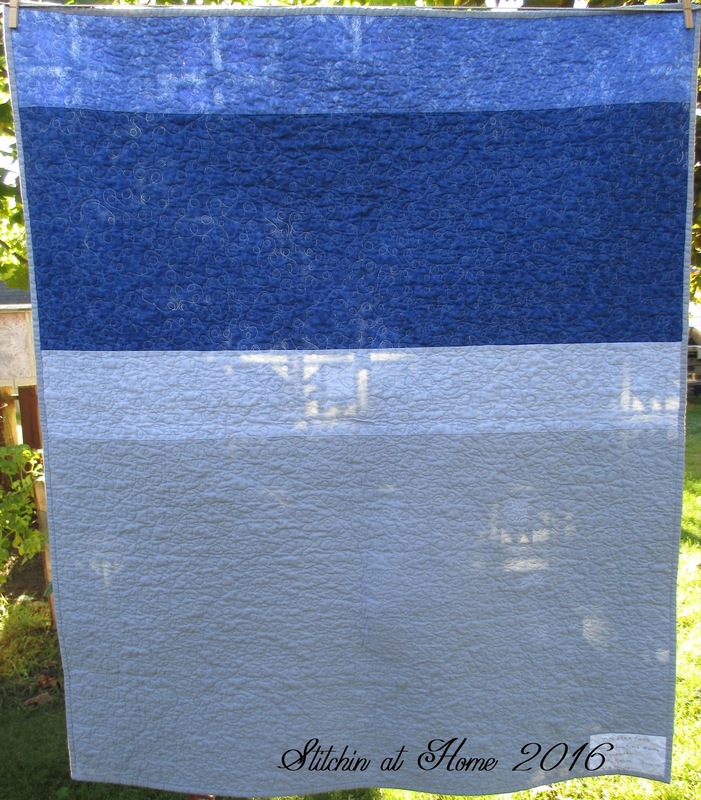 I used Quilters Dream batting a 70/30 combination and really like how it stitched. I usually use Hobb's Premium 80/20. But I do have to say I love the way the Quilter's Dream quilted. My sewing machine is a thread snob and seems to have a real likeness for Aurifil when FMQing. I used Aurifil 2600 for the all over loops. The backing was pieced from the leftover pieces, little to nothing added to my scrap stash and that makes me happy. Craftsy is having a Farewell Summer Sale. It's your last chance to save on some of Craftsy's most popular supplies. Sale starts Friday the 16th and runs til Sunday the 18th at 11:59pm MT. Disclosure: This email contains affiliate links, and by clicking on some of the links and purchasing products, I will be paid a commission on the sales. Your little baby bear paw turned out so cute! I love the loopy quilting. And how great is that, that you used up the scraps for the backing? Such an adorable finish! My machine is the same way! Have to use Aurifil on top for FMQ. Your quilt looks awesome. I love that bear in among the bear paws! Oh lovely in blues. I haven't finished mine yet so I'm joining in the QAL to give me more momentum. THis is beautiful Cyndy! You did a great job. It's awesome. I think the loops are fine. Congrats on the finish. This looks so cool in blue! 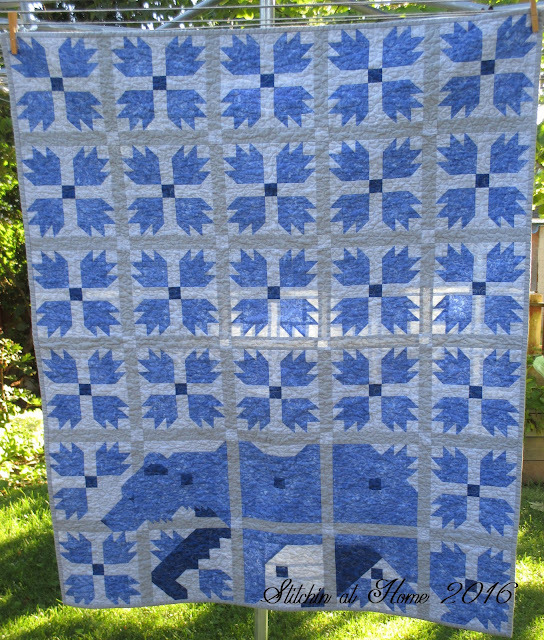 Loopy quilting is great Cindy and will wash and hold up really well. That is such a darling quilt. Everything about it is sweet. Thanks for sharing the process. Your bear quilt is fabulous! I'm just finishing mine up now... better late than never! Beautiful. Favoring every season, classy quilts create heavenly warmth in to your bedroom space.